For a 1st offense DUI: Kentucky law requires an assessment and an education or treatment program. If education is appropriate, Kentucky’s standard is twenty (20) hours of alcohol and other drug education. If further assessment or treatment is appropriate then the amount of treatment, determined at the time of the assessment, must be completed in order for Kentucky to clear the individual’s driving record. Kentucky’s maximum period of time for a 1st offender to be in treatment is ninety (90) days. 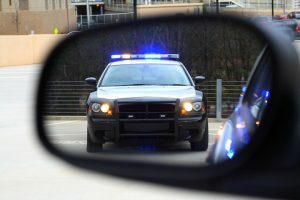 For 2nd and subsequent DUI offense(s) within a five-year period, Kentucky law requires an assessment and completion of a year-long treatment program. EnSite provides DUI assessments ($75.00) by appointment, 20-hour education, and outpatient treatment. These classes all meet the state requirements* for license reinstatement. Multiple DUIs: Classes meet Mondays and Wednesdays at 4:00 PM and cost $25.00. IOP, or Intensive Outpatient Program, is offered to adults on a flexible schedule.